Image Size: 10.5 X 15.5 in. 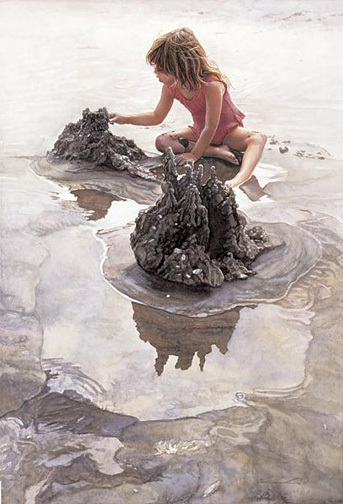 "This young girl in Castles in the Sand completes her delicate wet sand design with precious pebble and shell decorations that will in her memory always be permanent. As adults, I think we love to revisit these days of ageless innocence and enjoy the wonder of the ocean and forget for the moment that dreams can be washed away at any time."